Paro Dzong, Paro Museum, Drugyal Dzong, Taktsang Monastry, Kyichu Lhakhang, Farm House,Thimphu Dzong, Tango and Cheri Monastry, National Memorial Chorten, Kuensel Phodrang, Motithang Zoo,Punakha Dzong, Chimi Lhakhang,Wangdue Phodrang Dzong, Gangtey Temple, Black Necked Crane at Phobjikha,Trongsa Dzong,Bumthang valley,Dochula, Chelela, Korela, Thrumshingla, Pelela,Various Festivals like Thimphu Tsechu, Paro Tsechu, etc. Tour in Thimphu. 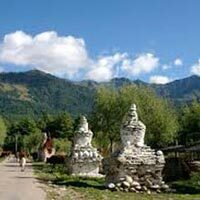 We will spend a day in Thimphu taking photographs of their interest. 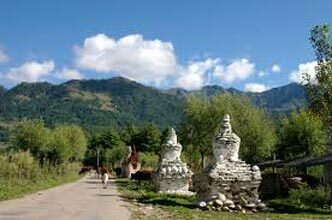 Thimphu is the capital city of Bhutan and people from all around the country reside in it. There are many beautiful places, events and destinations to be eyed on. Night halt at Thimphu.